Vision Builders Blog | You dream it. . . and we'll build it! “bullied” into nearly giving away their products? remodeling industry, can it work the same way? are only as good as the teams who comprise the business. choose the cheapest route when it comes to an investment as big as your home. work at a competitive price. on Vision Builders. Our motto? You dream it . . . we’ll build it. Having a good relationship with your remodeling contractor when remodeling a kitchen, bath, or other room in your Overland Park home is extremely important – in essence, you want to partner in the project. It IS your home, and you expect the results you envision for your living spaces. A positive relationship not only leaves you with a good feeling, it also helps ensure your project turns out just as you expected. At Vision Builders, we believe in partnering with our clients for a number of reasons including the following. As a homeowner, you have a dream or vision of what you want in the rooms of your home. Clear communication is key to outstanding results; you help us understand exactly the results you desire, which in turn helps us formulate a plan of action. Most homeowners in the Kansas City area have an idea about the finishes and materials they would like to use, however it’s unlikely you have a bottomless bank account. We believe that partnering with our clients helps us have a clear, focused idea of what you want, which helps us achieve your goals while staying within budget. You want to know exactly what work will be performed in your remodeling project. It is your home, your money – you are entitled to know every detail and what the cost will be before the work is completed. We provide our clients with a comprehensive scope of the work to be performed, so there are no unpleasant or unexpected surprises. How long will the remodeling project take, and when will it begin? Those having a room remodeled are anxious to get started, and even more anxious to have their project completed so they can enjoy it. We know having a timeline is essential, and we will give you one – and stick to it! You want to enjoy your home during the course of the remodeling work. We understand it’s difficult to be comfortable when a construction/remodeling project is underway. Our work force is not only talented, we are considerate. We will do our best to stay out of your way, and we will never leave a mess for you to have to navigate around. As trusted Overland Park remodeling professionals, we’re a bit different from most contractors you may have run across in the past. We don’t want to sell our services to you, our goal is to gain new friends and create fans of our work. At Vision Builders our top priority is going beyond your expectations, which can only be accomplished by partnering with you. What Should You Expect to Pay For a Master Bath Remodel? What will my master bath remodel cost? At Vision Builders, we know this is a valid question asked by savvy homeowners who are in the process of bringing the dreams they envision for their homes to life. While we wish we could offer you a simple formula to determine what the cost to remodel your bath would be down to the last penny, it simply isn’t that easy. There are many factors that affect how much your master bath project will cost, and many questions to answer. Over the years we have learned what the most important questions to ask our clients are, in an effort to help you make informed and educated decisions. One of the most important questions we ask potential clients is, “How long do you plan to remain in your home?” The answer to this question alone can and should drive some of the selection processes. We also believe in getting a “wish list” from our clients, and determining all of the various possibilities when it comes to the selection of surfaces and other building materials. Knowing what materials will be used and the scope of the project (how involved the master bath remodel will be, the size of the finished bathroom, etc.) help us come closer to a realistic budget number for the client. At Vision Builders, we believe in transparency. Before we offer you a budget number for your master bath remodel, we are happy to show you the National Cost versus Value Report of 2015, a well-known and trusted report that provides a wealth of information and data for various regions in the U.S., including the West North Central area. By comparing various remodeling projects to the national average and regional average, homeowners will realize the services offered by our company are cost-effective. Not only do Kansas City homeowners enjoy a more beautiful, functional master bath, you will also understand how much of the cost you would re-coupe should you decide to sell at a later date. 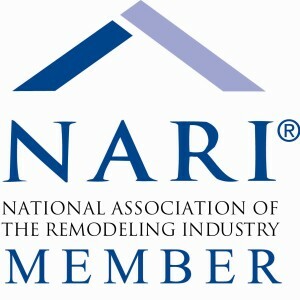 While the National Cost versus Value Report of 2015 is designed to give homeowners a good idea of average costs to remodel a master bath, it is still important that you keep in mind the actual cost of any remodeling project may vary substantially depending on the factors (such as scope of project, selection of materials) mentioned earlier in this article. Today’s bathrooms are a far cry from those of 15-20 years ago and are not only highly functional, but beautiful as well. Usually bigger and brighter, a master bath can be the ideal spot to relax and unwind after a hard day, whether you desire a steam room or perhaps even a sound system to soothe you as you soak in the tub. At Vision Builders, we understand that if it weren’t for our customers, we wouldn’t be in business! Your home is your biggest investment; when you are having it remodeled or renovated, there are certain things you should expect from your contractor. Here’s our list of what your expectations should be when in search of a Kansas City remodeling contractor. 1. Meets your needs. The ideal remodeling contractor is one that is totally focused on you, not selling his services. Let’s face it: you are searching for a remodeling contractor for a reason, either to solve a particular problem or achieve the vision you have in mind for your home. Your contractor should be a great listener, one who wants to resolve your issues and deliver on your expectations – not a salesman who is consumed with selling. 2. A trusted adviser is who most homeowners are searching for when looking for a contractor to either remodel their kitchen or bath or finish their basement. Your contractor should be an adviser who steers you in the right direction in terms of the materials, luxury, durability, style, and comfort you desire, on the level you desire whether simple or luxurious. At Vision Builders, our years in the remodeling industry make it possible for us to keep up with the very latest in materials and suppliers necessary to deliver results for your remodeling project that go beyond your expectations. 3. Is your contractor an information center? Your remodeling contractor should be capable of answering any and all questions you may have, something very difficult for those who are inexperienced. We feel that because our company is a member of several associations and organizations such as NARI (National Association of the Remodeling Industry) and Remodelers Advantage, it lends credibility and builds the “trust” factor so important for homeowners who are in search of an experienced, skilled contractor who can achieve their goals. Our membership in these organizations also allow us to stay on top of the latest trends and techniques in the industry. 4. Licensed and insured. Today it is vital to our clients that their homes are placed in very capable hands should any unexpected situations arise. Because your home is your most valuable asset, you must be comfortable knowing that your remodeling contractor will take care of any accident or situation that may occur, and that the work performed is in compliance with your city’s code department and will meet inspection criteria. At Vision Builders, we are licensed and insured, providing a wide array of services that will meet and exceed code requirements, and most importantly, deliver the results you expect for your home. To sum it all up, our goal is to deliver exactly what our clients want and deserve! At Vision Builders, we listen to what our clients want when renovating or remodeling their Overland Park or Kansas City area homes, and are ready to provide you with the highest quality materials, service, and workmanship. Give us a call today at 913-645-7889. Is finishing our basement a smart move? Even if “smart” means only financial wisdom, the answer is an immediate “yes.” Ask any realtor in your area whether or not homes with finished basements get better traffic and better resale. Ask any mortgage holder if he or she generally views home-improvement loans for finishing basements in a favorable light. And finally ask homeowners themselves! The vast majority report seeing their homes appraise 5%-20% higher with finished basements! But the good news is that “smart” means much more than just a good financial decision. Finishing your basement can also mean a huge investment in family memories, in expanded relationships (neighbors, relatives, clubs, etc), as well as in personal comfort, health and productivity. A few of the amenities finished basements contribute to the “investments” mentioned above include: home theater, wet bars, home gyms, kid play areas, guest bedrooms, home offices, entertainment centers storage areas, laundry rooms, second kitchens, workrooms or more bathrooms, game areas (with ping-pong, pool, etc), hobby centers and walk-out access to patios and decks. Whether your goal is to add value (and profit!) to a home you are planning to sell, or to give you and your family a more exciting and fruitful new life experience in a home you plan to keep, finishing your basement can be a major benefit. And the final piece of good news about finishing your basement is this: Your new basement can be designed and finished much more economically than your might think. It’s great to know that your new space will increase the value of your home. But it is even more helpful to know that you don’t have to spend more than is absolutely necessary to accomplish it. Not when you have the right builder-remodeler. VISION Builders has finished dozens of basements in Overland Park, Kansas City and Johnson County. A few of many testimonials from satisfied customers are featured on our web site along with several photos of the basements we are proud to have designed and completed. Finishing your basement can be a very smart move – especially if you partner with the most frequently-referred builder-remodeler in Overland Park! You can know exactly how your building/remodeling project is progressing! Nothing makes homeowners more uncomfortable than not knowing where their building or remodeling project stands from day to day. If friends ask, “So how is the project at your place coming along?” It is not good when the response must be something like, “Well, we’re hoping they will be finished before too much longer.” Your ability to respond with certainty to those kinds of questions is a huge part of your overall satisfaction with the project. It’s almost as important as the end result! In our initial visit with prospective clients we listen intently to their wants and needs. We want to make sure we are the right company for the job at hand — that we can provide the services necessary and that we can do it in the context of budget constraints. Those considerations and more are part of our Free Estimate. You need to be sure you are getting a proper return on your investment with every dollar your spend with VISION. Our next step is to explain our Design Agreement. That document spells out precisely what we will do and for how much. It is intended to clarify expectations as to timeframe, designs and the exact cost of any project you may be considering. On any building/remodeling project, there is a strong likelihood changes will be made in the original plan. Clients are historically grateful for that kind of flexibility. For that reason, VISION encourages clients to set aside a Contingency Fund to cover the cost of those changes. Having a little financial “wiggle room” takes much of the anxiety out of a client decision to improve on a dream! VISION also makes use ofProject Charts to clarify the various steps of a project, the duration of these steps and how they interact with one another. Use of project charts takes much of the “mystery” out of project phases for clients and helps them recognize progress and anticipate next steps more accurately. Finally, VISION Builders believes thatConstruction Agreementsare logical and comforting tools for all involved. Companies who do not offer such agreements to their customers invite the possibility of miscommunication and risk disappointing expectations. Our clients deserve to know they are working with people of integrity. All of those (and more) experienced helps and safeguards result in a no-surprises project from start to finish for VISION clients! And they make each of our clients an “expert” on the building/remodeling project they have hired us to implement. Sound good? Then call 913.645.7889 to hear some of the other benefits of choosing VISION Builders! Move or Remodel? Which is Best for You? Changing homes entirely or changing your home to meet new needs. Big decision! Deciding which direction to go can make a major difference to you and your family in the short-term as will as in the long-term. Most Americans choose to move when the space they are in has become somehow inadequate. But if you have the time and vision, remodeling your present home to better meet your needs can be a smarter “move.” This can be especially true when considering the timing for making that final retirement move. For one thing, remodeling is almost always less expensive. Folks who move to get more room usually pay much more per square foot for that new living space (higher mortgage payments, insurance costs, utility bills, etc) — whereas, remodeling can be done in affordable phases, or financed with existing equity to reduce “payment pain” a bit. Additionally, remodeling offers all the new space, appliances, and other updated amenities without the need to leave neighbors, school, church, favorite stores, etc. You only change what needs changing! Plus you can usually be confident that your remodeling efforts have given your existing home at least ten more years of live-ability. Then when you finally do sell, the money you invested in remodeling should add significantly to your final selling price. VISION Builders takes pride in listening to the goals you have for your home as you consider remodeling. Dozens of Overland Park/Johnson County residents have trusted us with their vision for renovated living space. Some of their testimonials are highlighted on our web site (www.callvisionbuilders.com). We have been able to save countless home-owners the expenses associated with moving by showing them how to channel those hard-earned dollars into remodeled live-ability. We will be delighted to show you too, when you call 913.645.7889!